Everybody knows about Sakura. It's that lovely old Japanese restaurant with the distinctive aroma of frying tempura tucked into the back of the Coplon's building. Some come for the sushi, some come for the tempura, some come for a quiet place to enjoy a good meal. All who come, however, agree that the food is wonderful and the service is impeccable. For thirty years, Sakura has served top-notch Japanese cuisine and comfort food to Columbia as the first sushi restaurant in the city. For twenty of those years, the Saito family has been at the heart of the restaurant, fueling it with their earnest desire to please and steadfast work ethic. Norio Saito was a permanent fixture behind the sushi counter, always ready with a smile and a few deft slices of fish. His wife, Ikuko, was ever present in the body of the restaurant, greeting guests and making conversation, with her daughter Kaori working seamlessly alongside her. The Saito family is what gives Sakura its unique charm. They have poured all they have into the restaurant, and made it something great. 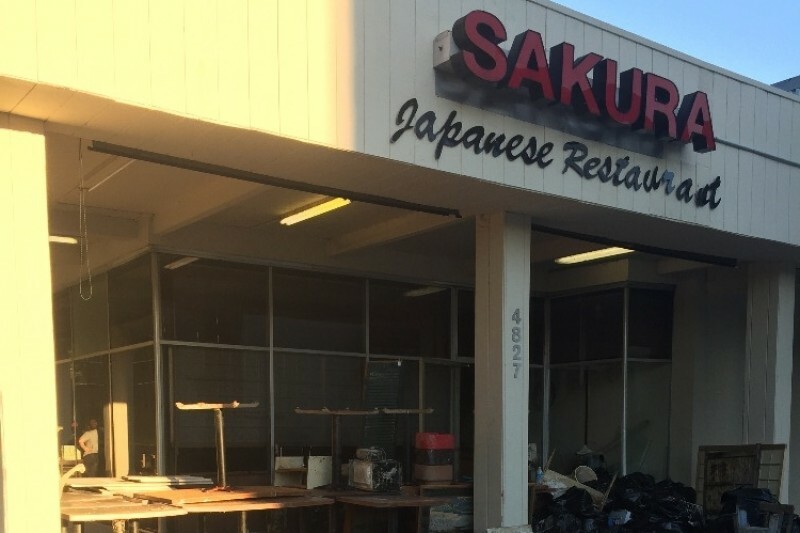 However, the restaurant and the Saito family has been struck a terrible blow. 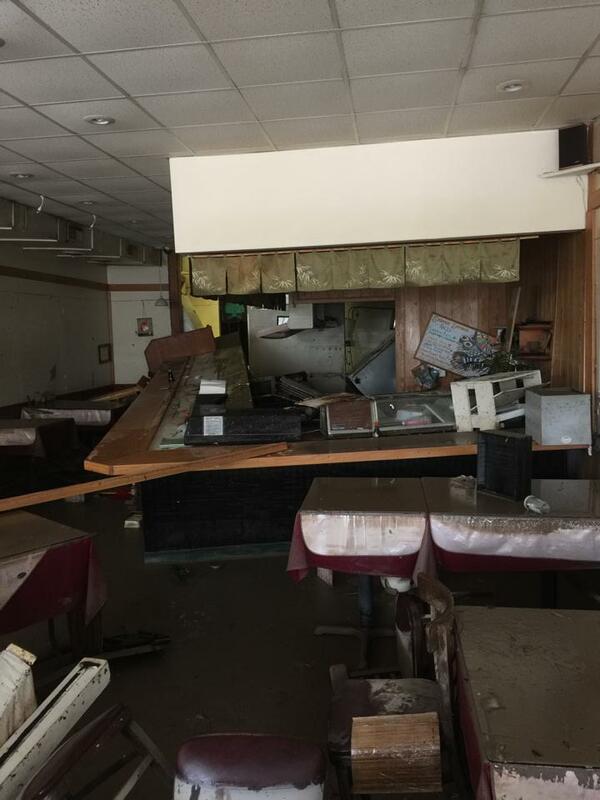 The massive amounts of flooding that Columbia recently experienced utterly destroyed Sakura. The rush of water shattered the front window and rushed through the restaurant, damaging valuable cooking equipment and ruining food stock. It then settled, causing extensive water damage to the electrical system, chairs and tables, walls, floor, and ceiling. It was a total loss. Almost nothing could be saved, and the Saito family had not taken out a flood insurance policy. Why should they? It was highly unlikely anything like this would ever happen; no one could have ever anticipated this kind of disaster. Cleaning fees for the carpets, walls, and ceiling are covered, but the restaurant cannot operate while empty. Tables and chairs are needed, as are refridgerators, stoves, freezers, cooking implements... essentially, the trappings of a working restaurant. These things are very expensive, and it is very difficult to pay for them out of pocket. My name is Jamie Altman. I have only been working at Sakura for about six months, but in that time, I have fallen in love with the restaurant. I know I am not alone. I have seen many faces pass through, but most of them are return customers, people who can be counted on to come in on certain days or order certain things. I address these people now. Please, help us bring this place back to its former glory. The Saitos are working very hard to rebuild, but they very much need your help to make it back to full strength. I know that we can become that same cozy little nook in the back of the Coplon's building once again. The aroma of frying tempura must not be allowed to die on the air. Please help us to make Sakura home again. Thank you to everyone who has donated so far! Wow... I never would have expected us to reach this amount in just a few days. We really, really appreciate all the help. In other news, we are now on Facebook! You can find us at https://www.facebook.com/RebuildSakura. We will be using the page to post updates on cleanup and restoration. Please give us a like and help us spread the word. Thank you again for all the generous donations! I may have subcontractors interested in helping with the restoration. Who is the GC they can contact? When will construction start? Wish I had known about this site earlier. Miss this restaurant so much. We miss your wonderful food and the beautiful spirit of the Saito family. We have kept your family in our thoughts and prayers since the flood. Can't wait to have you guys back!